ELECTRONIC practice management and medical records software, which makes our practice PAPERLESS and HIGH-TECH, allowing our computers to communicate with each other in real time, all of the time. It not only allows our doctors to look up any patient’s electronic health record instantaneously, it also gives our patients CONVENIENT AND SECURE ONLINE ACCESS TO THEIR EYE EXAMINATION RESULTS, including educational materials concerning the findings, at any time. Patients may now securely message and receive personal responses from their doctors about any topic, facilitating BETTER DOCTOR-PATIENT DIALOGUE. 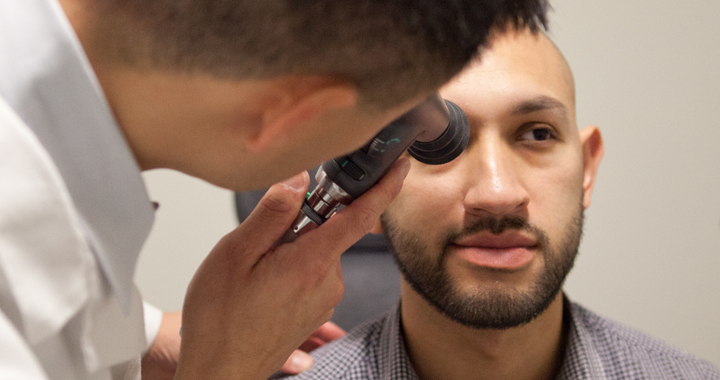 Recommended to ALL patients and our new standard of care, the Optomap is obtained from LASER-DRIVEN DIGITAL SCANS of the retina and serves as a road map for the doctor during the exam when viewing and evaluating the overall health of the back of your eye. Just because you see well does NOT mean your eyes are healthy. The Optomap is the BEST SCREENING DEVICE available to help detect the earliest changes relating to diseases, such as high blood pressure, diabetes, high cholesterol, glaucoma, macular degeneration, eye cancer, & retinal breaks BEFORE you notice any change in your central vision. 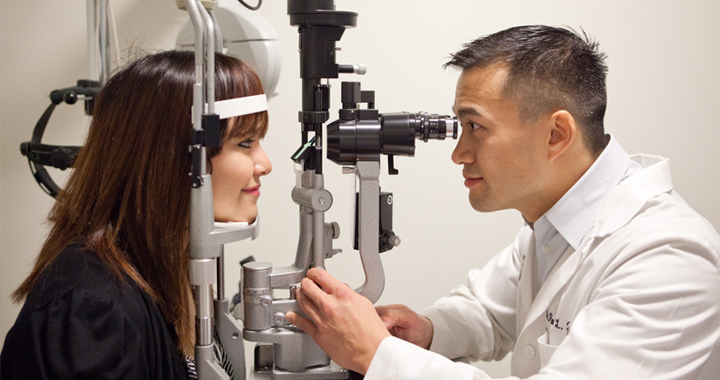 The doctor will review the digital image of your retina, which becomes a permanent part of your medical record. 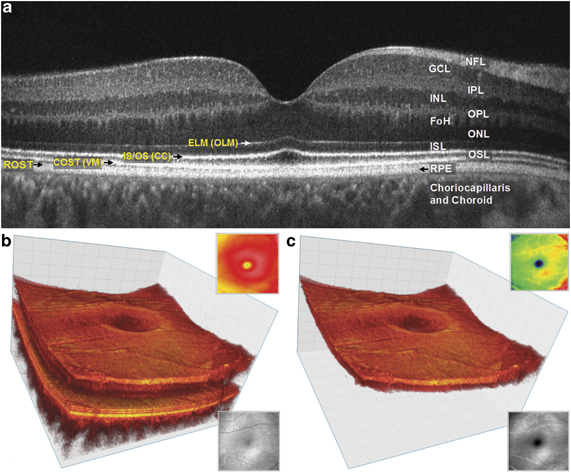 Although NOT a substitute for getting your pupils dilated (associated with light sensitivity and inability to see up close), the Optomap is a good alternative by imaging 82% of the retina with a single capture, and 97% with four captures. With the new FastTrac retinal tracking system, CIRRUS provides the framework to precisely and comprehensively assess any retinal condition. 3-D DATA CUBES, depicting each retinal layer, are registered with data from prior visits, which enables SIDE-BY-SIDE VISUALIZATION OF THE SAME RETINAL LOCATION for each visit. CIRRUS compares measurements from the current and prior visits to provide a THICKNESS CHANGE MAP that helps to determine the next steps in treatment. For glaucoma patients, no other device offers a more complete suite of INTEGRATED GLAUCOMA DIAGNOSTICS, which include retinal nerve fiber layer, optic nerve head, anterior chamber drainage angle, and central corneal thickness assessment, as well as the new Ganglion Cell Analysis (GCA). Along with Guided Progression Analysis™ (GPA), which provides a powerful tool for determining change in retinal nerve fiber layer and optic nerve head parameters, CIRRUS is the WORLD'S STANDARD-SETTING COMPREHENSIVE TOOL for glaucoma structural assessment. 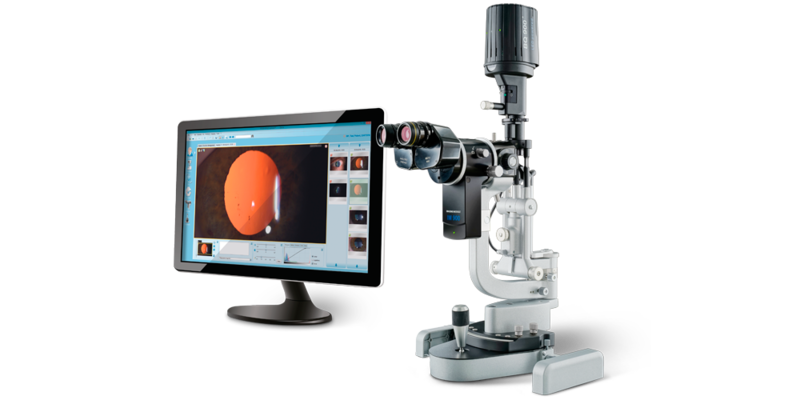 COMPUTERIZED auto-refractor and auto-keratometer in one, which, while AUTOMATICALLY TRACKING THE EYE IN A 3-DIMENSIONAL PLANE, determines an ACCURATE and RELIABLE starting point of your eyeglass prescription, which the doctor then refines. Using a Super Luminescent Diode (SLD), it now accurately measures patients with cataracts, corneal opacities, intraocular lenses, and post-LASIK patients. It also determines the curvature of the front surface of the eye and allows the doctor to detect any abnormalities in the corneal surface, such as keratoconus. Latest generation of ELECTRONIC REFRACTION TECHNOLOGY, replacing the standard refractor, to aid the doctor in refining your eyeglass prescription. It allows the doctor to control the entire refraction process from a small TOUCH-SCREEN KEYPAD, which also controls the CP-690 Automatic Chart Projector. Because it is completely programmable, lenses can be changed by the doctor at the touch of a button, making eyeglass prescription determination more EFFICIENT and ACCURATE than ever before. GOLD STANDARD biomicroscope used in the TOP TEACHING UNIVERSITIES IN THE WORLD, known to provide the BEST and MOST DEPENDABLE OPTICS in viewing all aspects of the inside and outside of the eye. This makes it that much easier to detect and monitor subtle changes, especially in the back surface of the eye (retina). 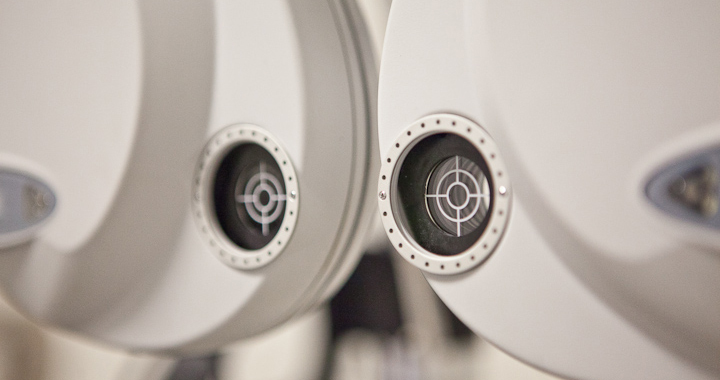 This technology has been used successfully worldwide to assess your peripheral (side) vision. It has been shown to have a high sensitivity and specificity in the detection of EARLY GLAUCOMATOUS DAMAGE, and in other disorders resulting from ocular, retinal, neurological, and neuro-ophthalmological causes. 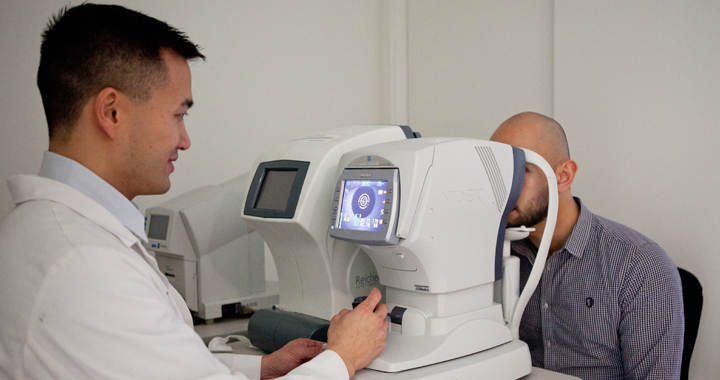 FDT offers many advantages in that it is quick and easy to administer and interpret, liked by most patients, not greatly affected by refractive error or cataracts, and has high test-retest reliability. Detecting and monitoring side vision loss over time, it is the GOLD STANDARD IN GLAUCOMA DIAGNOSIS AND MANAGEMENT. It offers the utmost in clinical confidence with Guided Progression Analysis (GPA™), which identifies statistically significant progression automatically. Such ADVANCED ANALYSIS TOOLS are backed by decades of research and clinical validation. 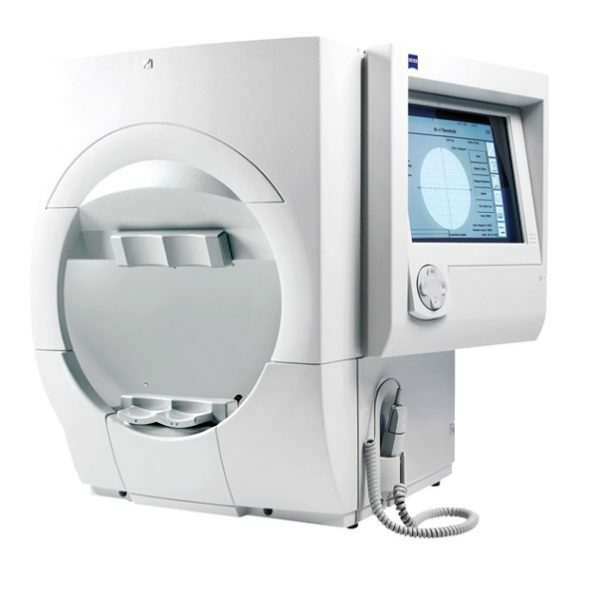 Equipped with TOUCH-SCREEN CONTROLS, it has the FULLY COMPUTER-AUTOMATED CAPACITY to quickly align with the eye and accurately determine one's Corneal Compensated Intraocular Pressure (IOPcc), a better indication of the true pressure within the eye because it is less influenced by corneal properties. High eye pressure is a known risk factor associated with glaucoma. It is also the only tonometer in the world that measures Corneal Hysteresis, the cornea's ability to absorb shock, which is a superior objective predictor of glaucoma progression. 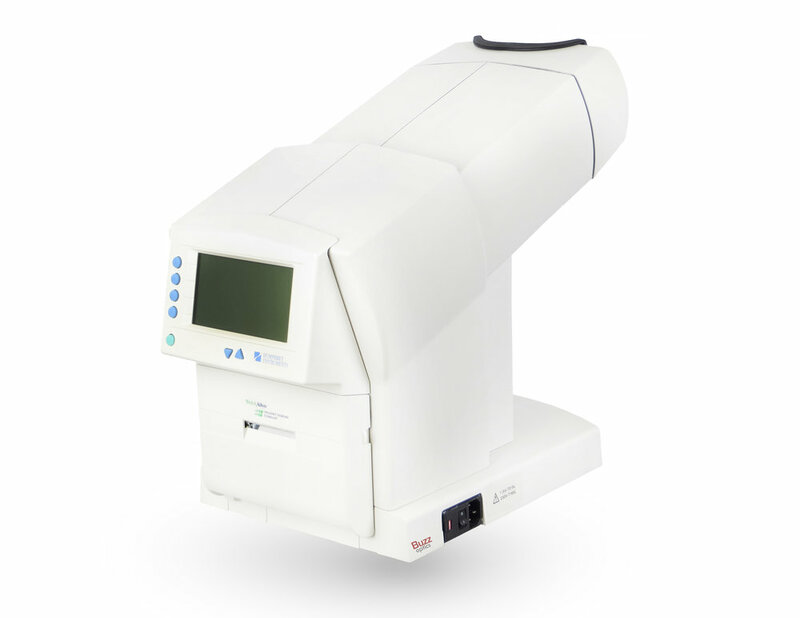 Utilizes a 20-MHz ultrasonic probe and Palm®-powered technology to provide precise corneal thickness measurements (a risk factor in glaucoma) in a hand-held device. 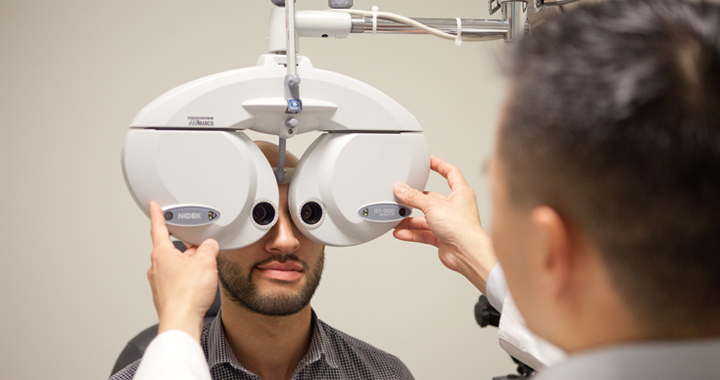 It is equipped with a Glaucoma Risk Calculator, by easily inputting the six key factors established from the Ocular Hypertension Treatment Study (OHTS) to estimate the degree of glaucoma risk.